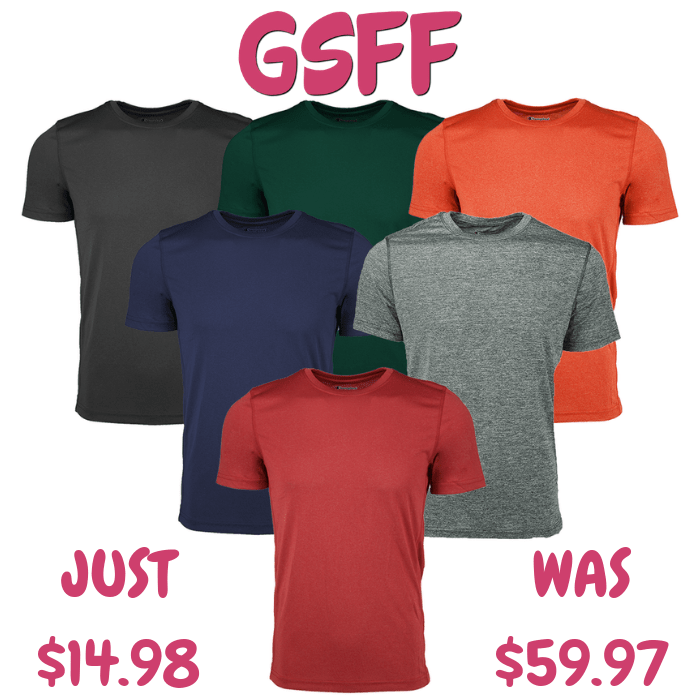 Men's T-Shirts 3-Pack Just $14.98! Down From $60! Shipped! You are here: Home / Great Deals / Men’s T-Shirts 3-Pack Just $14.98! Down From $60! Shipped! Men’s T-Shirts 3-Pack Just $14.98! Down From $60! Shipped! For a limited time only! Proozy has this Men’s T-Shirt 3-Pack on sale for just $14.98 down from $59.97 when you use promo code PZY1498 at checkout PLUS FREE shipping! Get a 3-pack of Champion Men’s Performance T-Shirts. It’s available in assorted colors. Great for personal use or for a gift!